BeRobot = "Be Any+ Robot". at BeRobot 'Any+' means: "my/ your/ humanoid/ dog/ dinosaur/ scorpion/ Crocodile/ Eagle/ Security/Cleaner/...", [Click to see Features], Any+thing you can imagine! The BeRobot line is a robotics development platform that can be designed and adapted for all needs. With BeRobot’s unique learning robotics courses and certifications, students or engineers of all age groups can develop their dream robots. BeRobots can be programmed and manipulated using a ‘Game-like’ Motion Editing Software, a powerful and user friendly Graphic User Interface enabling novices and professionals alike to easily control their BeRobots. The possibilities are matched only by the users’ imagination, including: bending down, twisting, bending knees、dancing、pushups walking、standing on one foot、Tai ji quan、playing football and many more. BeRobot’s can be modified and reconstructed into many different types of humanoid and animal shapes. In addition you can upgrade functionality using additional plug-in modules/sensors, including: Touch sensor, Photo Sensor, Falldown sensor, Sound Sensor, Voice commander, Blutetooth, WiFi and Smartphone APP control.... With BeRobot, you can learn many types of high end robotics technologies including: mechanism design, automation design, electrical design, motion balance、and programming design. The unique learning manuals and courses will teach you how to build and control BeRobots in addition to having aftercare support for new motion upgrades. BeRobots have some of the most precise servo motors on the market in-line the high end Asimo line of products. Each individual motor has an industry leading life span of 500,000 cycles with a range of up to 220 degrees. Finally, each BeRobot is designed with muti-functional capabilities such as: Programming mode, Online control mode, Remote Control Mode, Interactive mode and Time Freeze Mode. The BeRobot line is a fully-featured robotic technology development platform with range of artificial intelligence functions that includes programmable movements, sensor functions, wired and wireless remote control, an easy-to-use graphical user interface, and easy access to programming functions. Robust functionality and ease of use makes BeRobot a world-class solution for technology educators to enhance training in industrial engineering, robotics and artificial intelligence. The BeRobot line includes a variety of hardware expansion interfaces that enable it to connect with many advanced high-tech functions, including remote video transmission, image recognition, speech recognition, music recognition, ultrasonic identification, displacement identification, cell phone control, and more. BeRobot movements include: walking, playing football, making a fist, squatting, dancing, spinning on one foot, push-ups, and even Tai Chi Chuan. 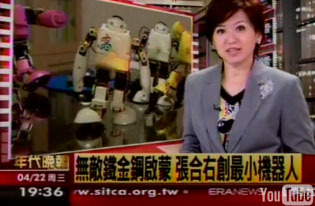 In addition, BeRobots can transform into an e-pet, dinosaur, robot arm, and many more combinations. BeRobots can be mixed and matched in teams for robot competitions in clubs, science camps and classrooms.. The BeRobot line was designed for technology educators who want to teach robotics control technology, robotics balancing, sensor management, remote control management, precision machinery, precision gear technology, precision injection technology, IC firmware, embedded control systems, precision circuit, human-computer interface, software integration, industrial design, security control systems, human mechanism engineering. The BeRobot Robotic Academy offers a full curriculum, with lesson plans, teaching materials and Certifications. All Rights Reserved by GeStream. Website designed by GeStream. Use of this site indicates acceptance of our Privacy Statement.